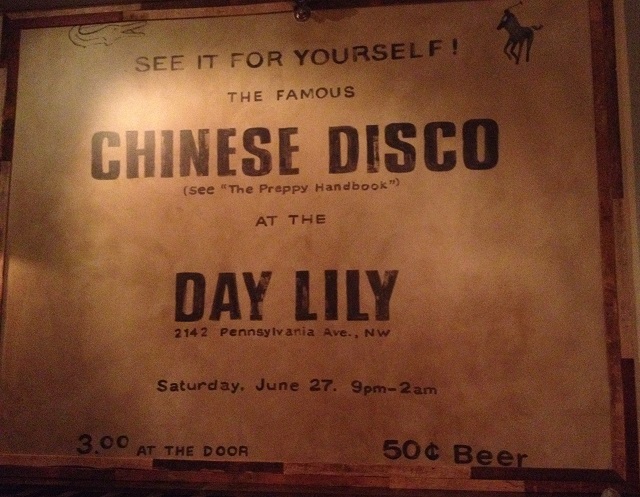 From 1977 to 1986, one of the most infamous places in DC to boogey down was in the basement of an unlikely location—a Chinese restaurant called the Day Lily, then located at 2142 Pennsylvania Ave. NW. 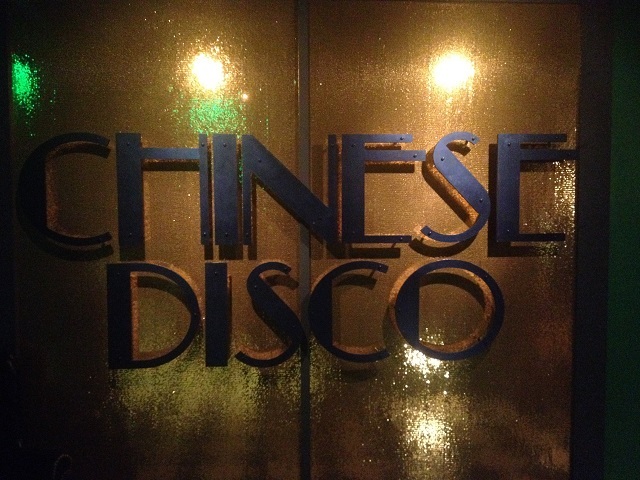 Thursday night, the Chinese Disco, as it was known after dark, returned to DC. With the blessing of the founders of the original night, a bar formerly known as the George has dubbed itself Chinese Disco at 3251 Prospect St. NW, and launched weekend dance parties sure to bring a little more indie dance spirit to Georgetown (a neighborhood sorely long lacking in dance spots). By any measure, the well-orchestrated soft opening party was a success. More than 700 people signed up for the guest list, which was managed electronically at the door. The large crowd was ready to dance, and dance they did to the likes of Iggy Azalea’s “Fancy,” DJ Snake and Lil Jon’s “Turn Down for What,” and even the Spice Girls. The music perhaps was a bit of a far cry from songs by the likes of The Temptations and The Four Seasons played at the original Chinese Disco, where kids popularly danced the Carolina Shag. But the fun-loving crowd at the reborn Chinese Disco ate it up and danced their hearts out while drinking buckets of canned beer. Which brings me to drinks at the Chinese Disco. A typical can of beer (yes, cans only it seems) runs $6-$7. Buying a bucket of six basically comes out to paying for five and getting a free one. The same sort of deal goes for pitchers of cocktails (referred to as “growlers” on the bar menu). Chinese Disco cocktails include an Ocean Reef Cap, Chi Di Crush, Congo Melon Mule and others. Generally a cocktail runs $7-$12 but the growler yields six for the price of five. Buying in bulk appears to be encouraged. Bottom line: The soft opening was a great party! The Chinese Disco is a nicely remodeled bar offering some much required dancing in Georgetown. A worthy addition to the neighborhood. A sign advertising the original night at the Day Lily hangs inside the new club.